The Illusion Dotz 4.4 Moving Head Wash Fixture from American DJ features sixteen 30W Chip On Board (COB) pixel-controllable TRI LEDs. 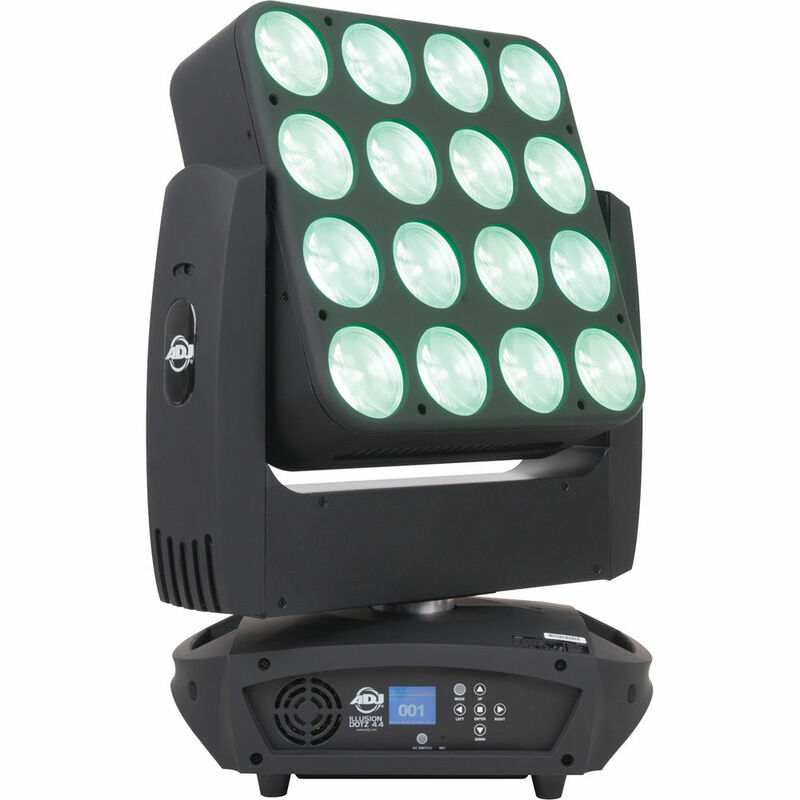 Its 360/540-degree pan and 270-degree tilt allow for the beams of light to move and spin, adding excitement to any lightshow. The Illusion Dotz 4.4 has a 15-degree beam angle, 4 operational modes, 3 DMX channel modes, on-board 4x4 pixel mapping and 5 dimming curve settings. The full color digital display allows for easy navigation through the fixtures functions. Because the Illusion is Artnet/Klingnet compatible, designers can project low-res video content through the RJ45 connections on the back of the unit. Power Consumption 468 W max.